Hope strengthens, fear kills. There’s a particular series of books that carry this mantra throughout, and the first time I read it (every time I read it actually) I got chills. Usually that reaction is my best judgment of the truth in a word or phrase, and I’ve come back to this one over and again through the years. You see, in the last year(s), I gave up hope (because really, I don’t think it’s something you lose) on quite a lot of things. Honestly, there are a multitude of reasons behind that, none of which I want to get into today. The truth for me, personally, is that I cannot live a life without hope. There are certain ideologies out there that suggest hope is at the root of all suffering, but in my life I have found that expectations are usually to blame and the two are not necessarily the same thing. So this year my word is HOPE. I want to find the strength in that word and leave behind the negativity and the fear that kills my dreams. I’m the only one stopping myself from making changes and achieving goals. Like that Henry Ford quote says – “whether you believe you can or you believe you can’t, you’re right,” – if I live in fear of failure then I never have a chance. My hope for 2014 is that my self-fulling prophecies are all positive, or at the very least, mostly positive (smile). 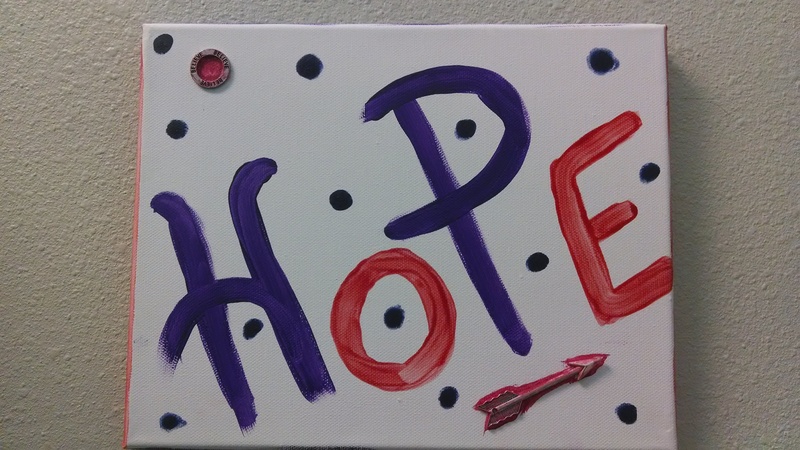 This little beauty is going on the wall by my desk to remind me to hope, even in my darkest moments (which usually happen at work), and of how much fun a little crafty creativity can be (smile). Linking up with Melissa at the Nectar Collective for her new and inspiring Creative Collective linkup. Be sure to check it out and join the fun! What a lovely post, and a great idea to have that word somewhere where you can see it to remind you. Also love your positive thinking. Thank you!! It’s been interesting trying to explain it to my co-workers who have noticed it so far – def a mixed reaction of “cool” and “weird.” Ha. I don’t care, it’s right where I need it to be 🙂 I think this Creative Collective linkup is going to make for a fun year. 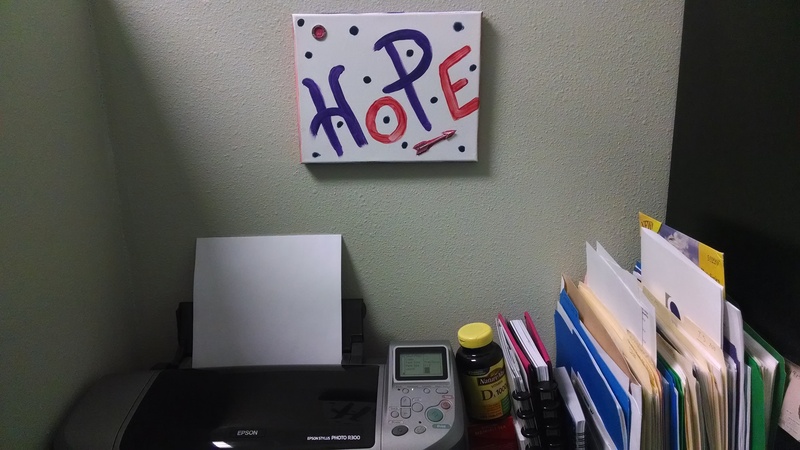 This is a lovely post, and a great little idea with the HOPE in your cubicle 🙂 When 2014 begun, I felt this little glimmering of hope too — for no conscious reason — it was just there, and I’m hanging on to that feeling. I will not allow my negative thoughts take over that. What a great word for 2014. You should make a pinterest board for inspiration!